Carmen Grenier, Canada: "In the fall of 2007, I took a well-deserved vacation in Europe. I visited Croatia on that trip and fell in love." Carmen Grenier from Canada with Croatian scientist Spiridion Brusina in the city of Zadar. 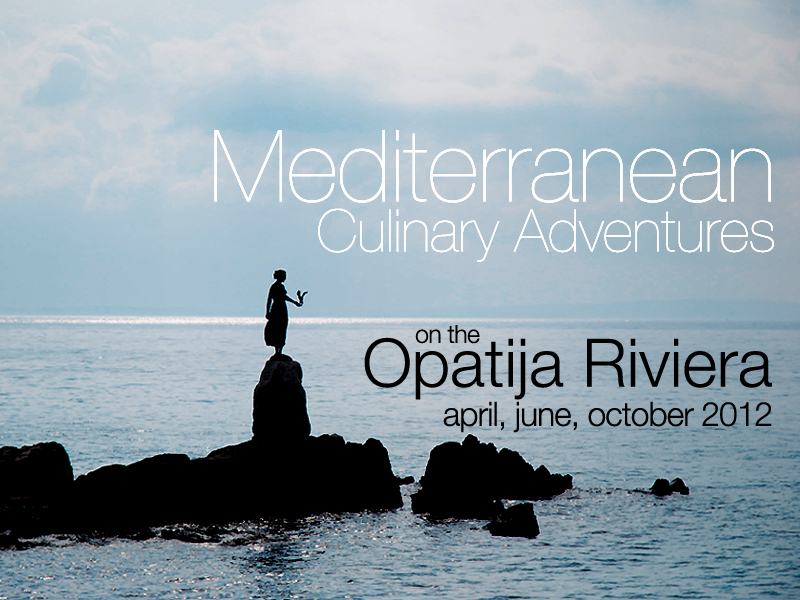 CarmenCuisine and Travel in collaboration with Lovranske vile is pleased to offer, for the third season, the Mediterranean Culinary Adventures in picturesque Lovran on the Opatija Riviera. 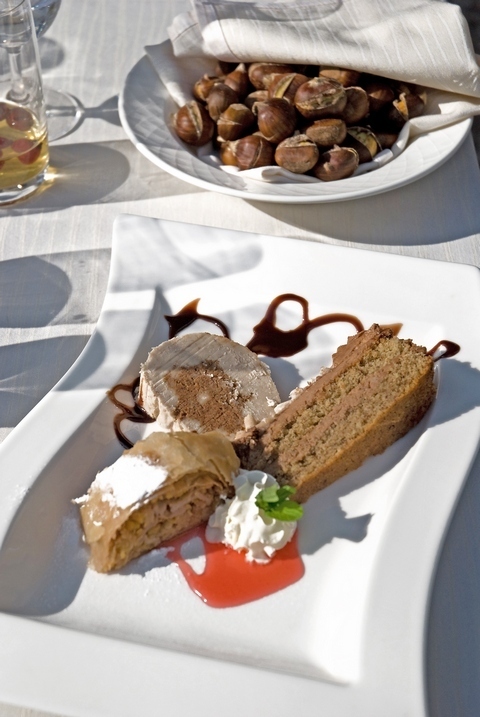 These are more than just gourmet adventures; they are culinary experiences. You will be transported to a wonderful world of field trips, sumptuous wine tastings, hands-on cooking classes and adventurous truffle-hunting or wild asparagus picking. You'll learn, you'll experience, and you'll enjoy. It will be a rich, rewarding and enlightening get-away and you'll be glad you chose to spend your time with us. 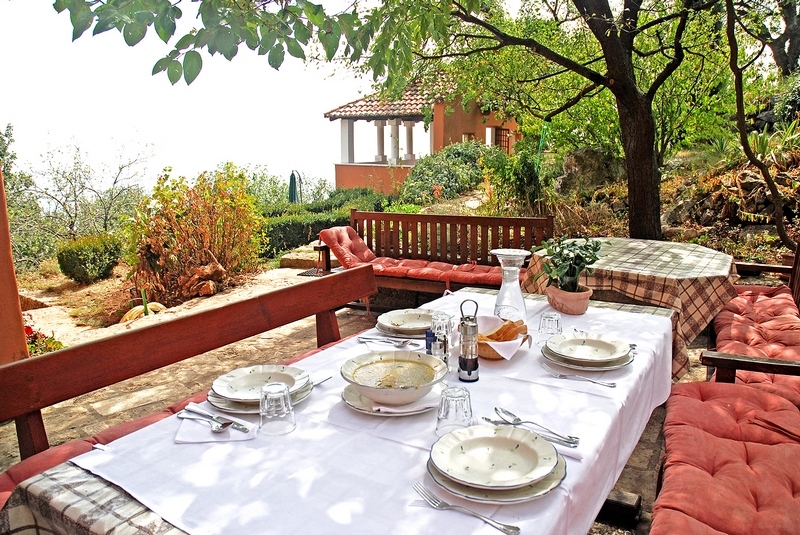 It is my pleasure to be your host and to accompany you during your sojourn at beautiful Casa Oraj—a century-old renovated farmhouse, privately rented for the entire duration of your stay with us. The vistas are breathtakingly spectacular. It wouldn't surprise me if, just like me, you enjoy your experience so much you never want to leave. To foster an intimate atmosphere, the group sizes will be limited to eight participants. Be sure to register early! For more information about our programs, consult the itineraries listed below or the menu on the left panel. If you have any inquiries or require additional information, please write to: culinaryclasses@carmencuisineandtravel.com. Squid dish, Vila Astra of Lovranske vile. Marron desert in Lovranske vile. Black truffles from Istrian peninsula, Croatia. 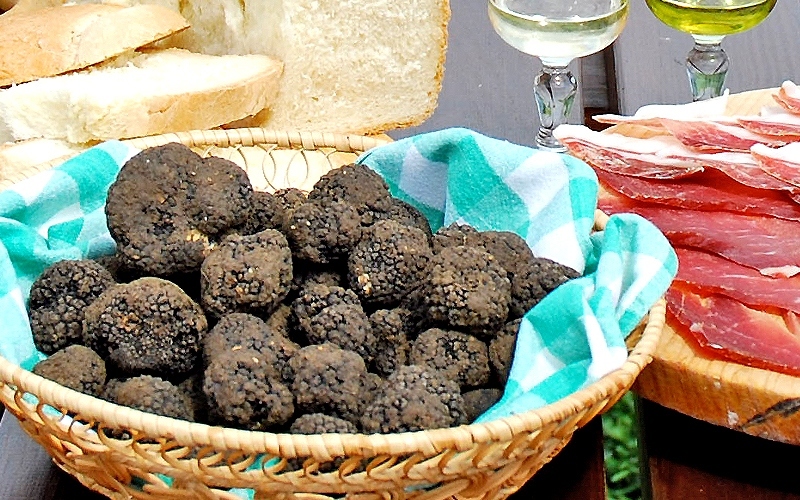 The world's biggest truffle was found in Istria, Croatia, weighing 1.3 kg! On the last evening of our program, a gala dinner will be held at the elegant Hotel Villa Astra, a four-star, luxurious converted villa surrounded by lush, green gardens over-looking the sparkling Adriatic Sea. 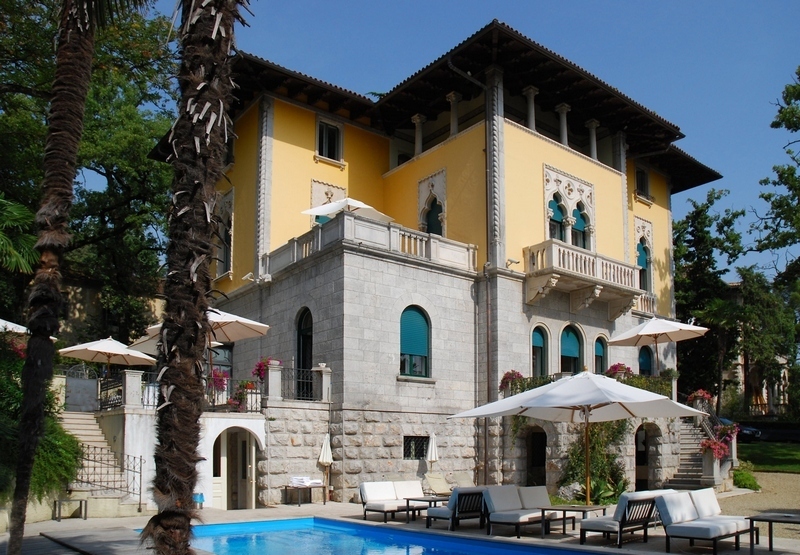 Villa Astra is located in the peaceful and friendly town of Lovran, part of the Opatija Riviera which is known for its temperate climate, clean air, clear-water beaches, and lush sub-Mediterranean vegetation. 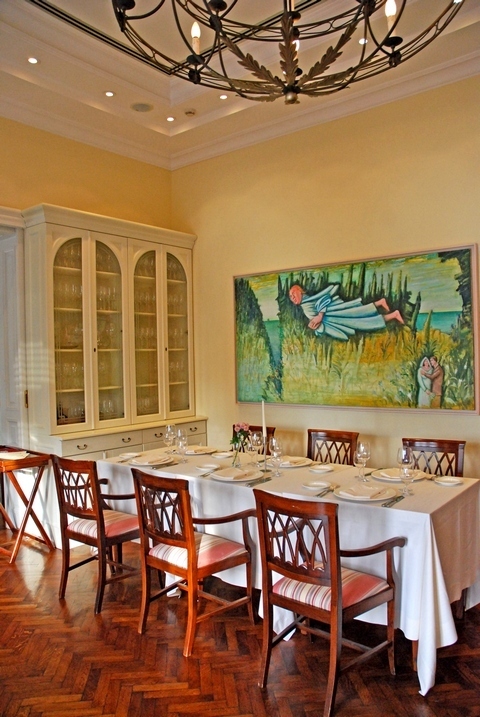 The restaurant of the Villa Astra is celebrated throughout Europe for its gourmet cuisine and its elegant balance of tradition and creativity. The proprietors and staff of the hotel and restaurant are also committed to ecologically sustainable food production offering a menu featuring locally and sustainably harvested produce whenever possible. connects the towns of the Opatija Riviera – Volosko, Opatija, Ičići, Ika and Lovran, Croatia. Casa Oraj terrace at the height of 400 m with spectacular view to the Adriatic Sea and the islands of Krk and Cres on the horizon. 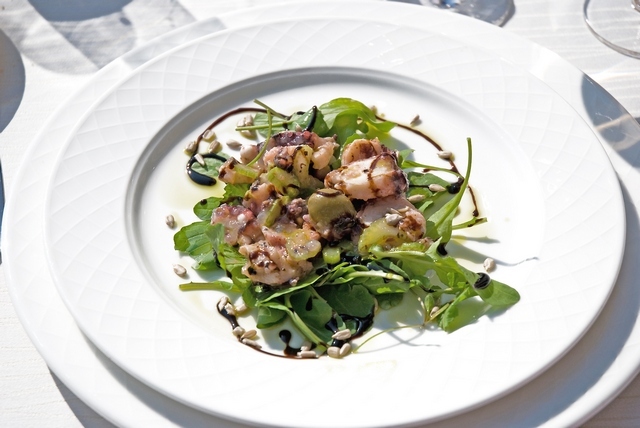 of the Culinary Adventures on the Opatija Riviera. 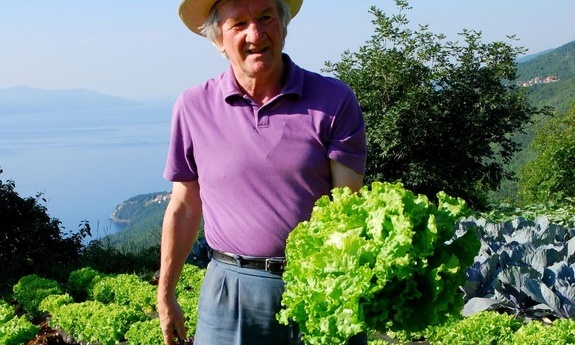 Mr Vjeko Martinko, owner of Lovranske vile, is growing salad near Casa Oraj. above the town of Lovran, to the Adriatic sea and to the islands of Krk and Cres. For more than 20 years, I directed photo shoots that covered such diverse subject matter as high technology, science, transportation and food and wine. I thoroughly enjoyed the variety of these work experiences, and appreciated the opportunity to hone my skills. Increasingly, however, I felt the need to work on a truly personal project, one that combined my many interests, particularly in the areas of gastronomy, wine and travel. In the fall of 2007, I took a well-deserved vacation in Europe. I visited Croatia on that trip and fell in love. I just had to go back. And so I did, and on a five-month journey of discovery, the idea to create a Website devoted to international gastronomy and travel destinations was born. I created CarmenCuisine and Travel as a place where I can chronicle my journeys and share what I learn with you. 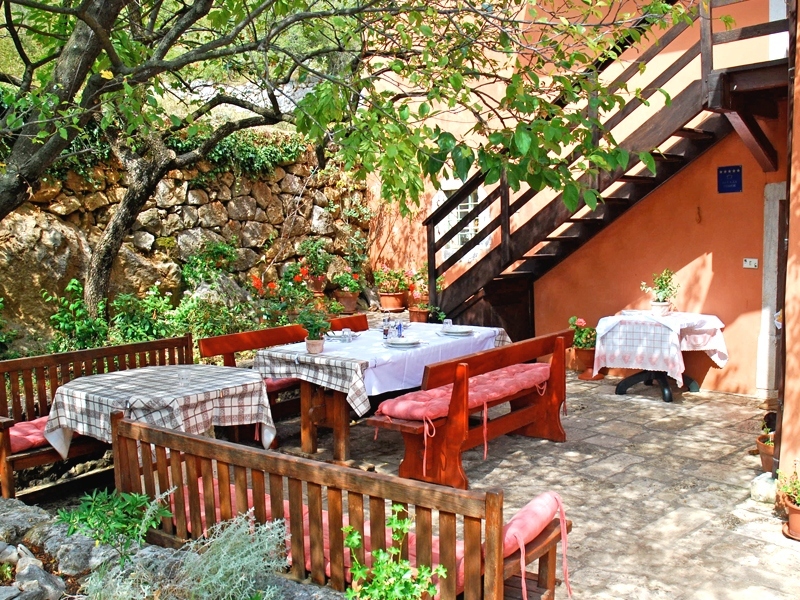 Other destinations are in the planning stages, as are culinary classes, workshops and wine tours. This is my journey of discovery. 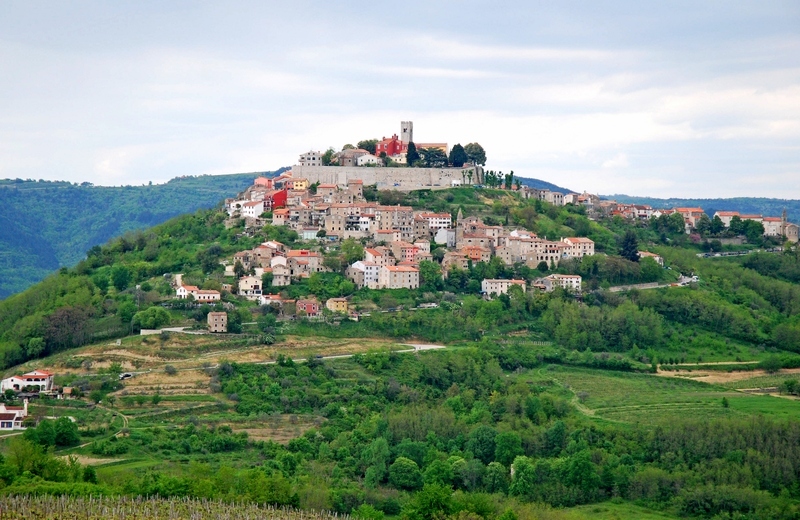 Medieval town of Motovun in Istrian peninsula, Croatia, with surrounding forests full of truffles.